Earlier this month the LifeKeepers team brought their new e-learning programme to the Counties Manukau Steelers’ for their personal development day. This August twelve nominees from across Aotearoa were recognised in Christchurch for their contributions to preventing suicide in their communities - ordinary people doing extraordinary things to create communities of C.A.R.E. Waitangi, Aotearoa hosted delegates from 32 countries at the IASP Asia-Pacific Regional Conference in May. We were joined at the conference by the winner of the 2017 LifeKeepers Supreme Award, Zack Makoare, who has written a blog about his experience. 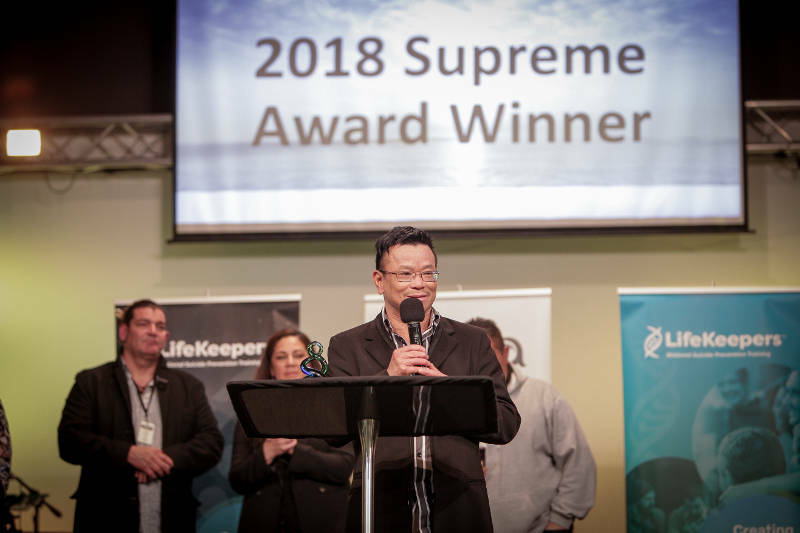 Due to popular demand, the national LifeKeepers Awards for suicide prevention are returning for 2018. Plans are underway to once again celebrate the efforts, dedication and commitment of the individuals and organisations out there championing this cause in our communities across the motu.